When I go to old houses, castles or ruined abbeys, I’m usually caught up in the history of the place, but where stone circles are concerned, what matters to me is how they make me feel. There’s something enduringly mysterious about them and each one seems to have its own particular atmosphere. One of my favourite stone circles is the Rollright Stones, hidden away behind the hedge, just off the A44* between Moreton-in-Marsh and Chipping Norton. If you’re not looking for them, you’ll probably miss them, but park in the lay-by, find the gate in the hedge, and you’ll step through into another place and time. 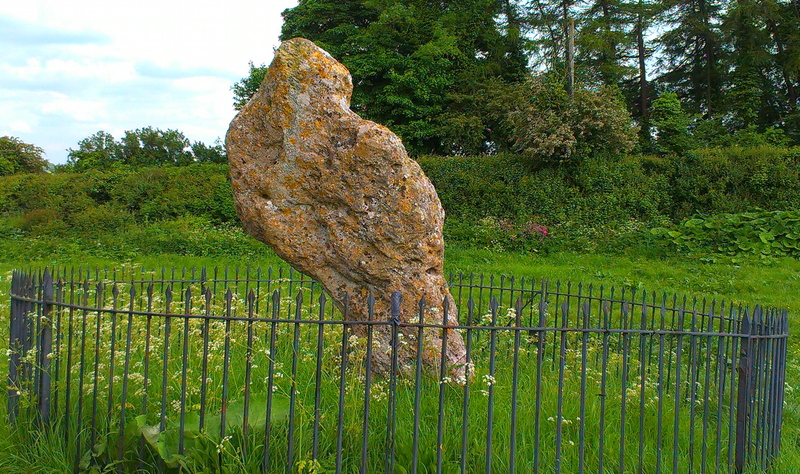 There are lots of myths and legends surrounding the Rollright Stones. 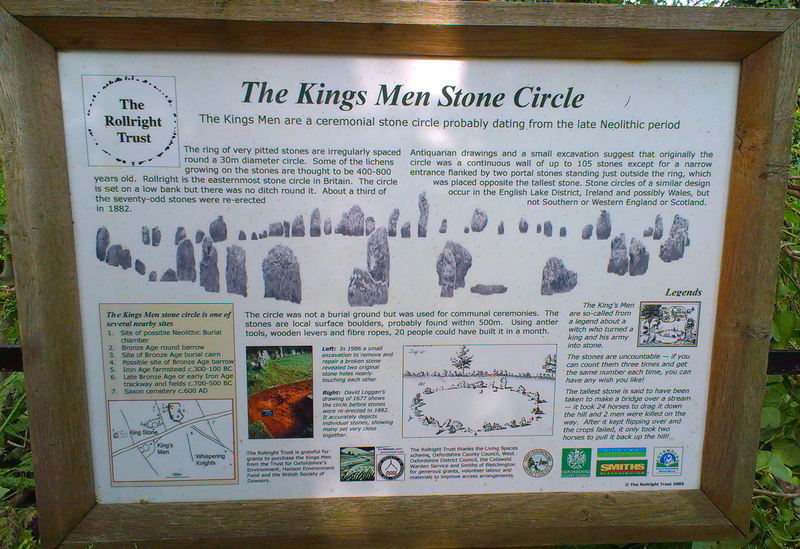 The main circle is called The King’s Men, whilst a single stone across the other side of the road is called the King Stone, and away across the fields is a small group known as the Whispering Knights. Legend has it that they are the petrified bodies of an invading king and his men, turned to stone by a witch – wonderful stuff. 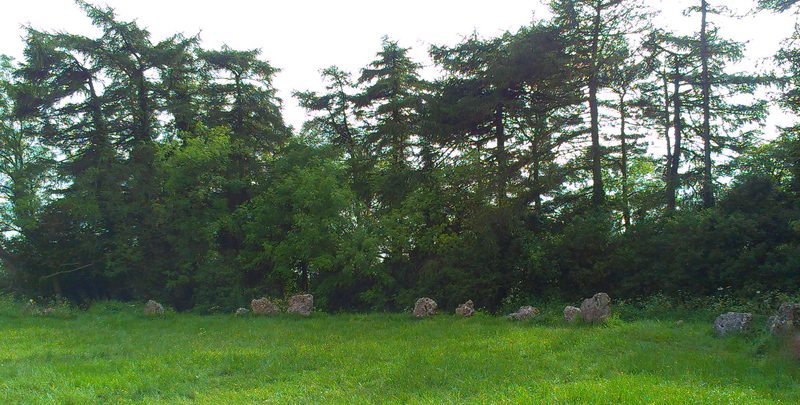 The other well-known mystery about the Rollrights, is the inability to count the stones in the circle. When we go, we all count them and can never agree on the total. If you try again, you get a different number. But whatever the stories, the stones always seem to draw you in. You simply have to walk round, it can’t be resisted. The stones are well-known and well used by all sorts of people, (I read once that the actor Mark Rylance got married there – is that true? ), but it doesn’t seem to diminish their power to enchant. There were about a dozen other people there when we visited last late on a Sunday afternoon, but it didn’t matter, there was still a hush and a quiet energy. If any of this has tickled your fancy, please take a look at this video by Jack Reid of the University of Bristol. It’s about 15 minutes long – I was fascinated, perhaps you will be too. The Rollright Trust has a fabulous website which gives masses of information (and another link to Jack Reid’s video). 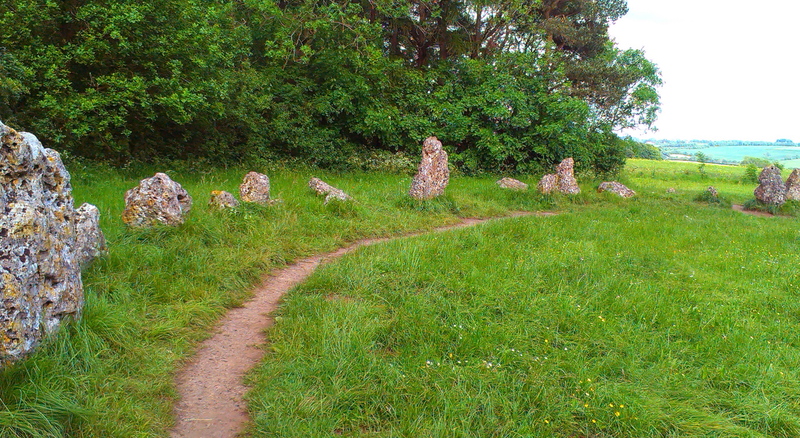 Thanks for the memory – I visited the stones some 35+ years ago with a group of ‘nutters’ (some of them were into ley lines, others into ‘forces’, I just went along to make up the numbers). We were experts on the local ale and the quality of the Ploughman’s by the time we finished our week! Oh yes, that would be Hook Norton beer I presume! A lovely pint. It was one of the first places I drove myself to when I passed my driving test, I remember feeling enormously free – in lots of ways. I still love it there. I’m another one who visited these stones a while ago, so thanks for bringing back the memory. Such a beautiful setting, and your photos really capture that. Definitely magical! Yes, you’re right. I could happily sit and contemplate life, the universe and everything in that circle. Wow, Anny, one of the places I’d really love to see! But your descriptions bring it to life. I can imagine the enchantment. Those are wonderful stories… I was reading one from the info board as well, about what happened when they tried to move one (and it was so much easier to put back!) I just love legends like that. There are just so many, it can’t be coincidence. I’ll take a look at that video!